1. Mux80 standard version depicted for clarity. 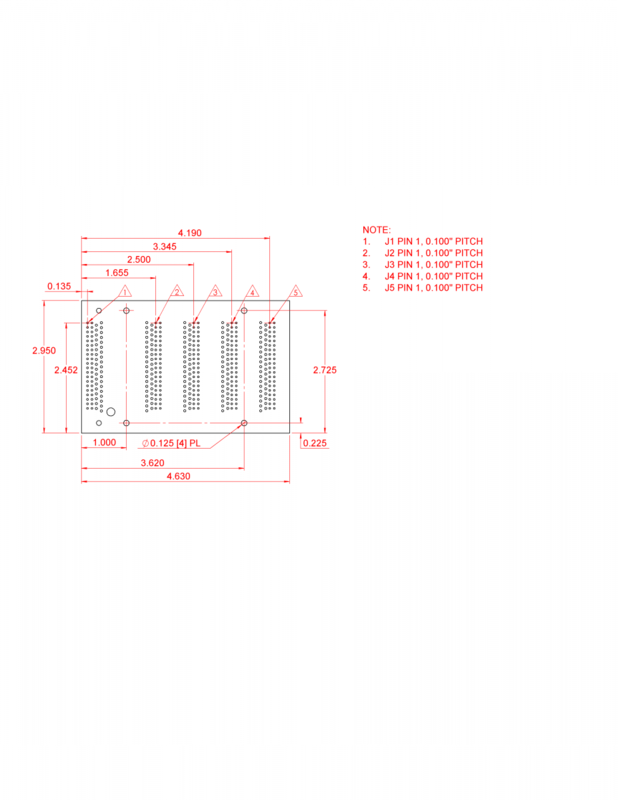 See CAD files below for OEM versions. 2. 3" Snap-Track not shown. When using the Mux80 with a Modbus compatible device, such as the T7, use the following registers to read the extended analog inputs. AIN#(48:127)_RANGE The range/span of each analog input. Write the highest expected input voltage. AIN#(48:127)_NEGATIVE_CH Specifies the negative channel to be used for each positive channel. 199=Default=> Single-Ended. AIN#(48:127)_RESOLUTION_INDEX The resolution index for command-response and AIN-EF readings. A larger resolution index generally results in lower noise and longer sample times. AIN#(48:127)_SETTLING_US Settling time for command-response and AIN-EF readings.